SteamWomen is pleased to present the incredibly multitalented Samantha ‘Frenchy’ Stephenson - one half of the fantastic musical duet Frenchy & The Punk. We're thrilled she was able to take time from her very busy schedule to share her thoughts with us - thank you Samantha! I am an artist, performer, healing arts practitioner and traveler. The need to lead a creative life has always been paramount to me. Though my journey has had many twists and turns, I now travel my true path and it is amazing! As an artist; I draw, paint and sculpt. As a performer; I started in the performing arts at 4 years old when living in the UK with classes and performances in ballet and modern dance as well as piano. Later, after moving to the U.S., ballet changed to jazz and hiphop dance and since 2005 I have been the singer and percussionist for the Folk Punk Cabaret duo Frenchy and the Punk. As a healing arts practitioner; in 1999 I began my studies in Polarity Therapy at the Open Center in NYC which encompassed Craniosacral therapy and energy healing. I believe in the power of movement literally and figuratively. Through my experiences in dance and as an aerobics instructor, I find that physical activity is a great catalyst for transformation and empowerment on all levels. The spark to move forward in life can be inspired through the performing, visual and healing arts. Through our music, we endeavor to inspire people to move, to want to do something, to get up and get going. As a traveler; it started early on for me as I traveled quite a bit growing up (I was born in France and lived in the UK and Brazil before coming to America) and the band travels year-round touring all across the U.S. and in Europe. I was performing, along with guitarist Scott Helland, at events organized by Jeff Mach and he said; “You’d be good for Steampunk events” and we said, “What’s Steampunk? 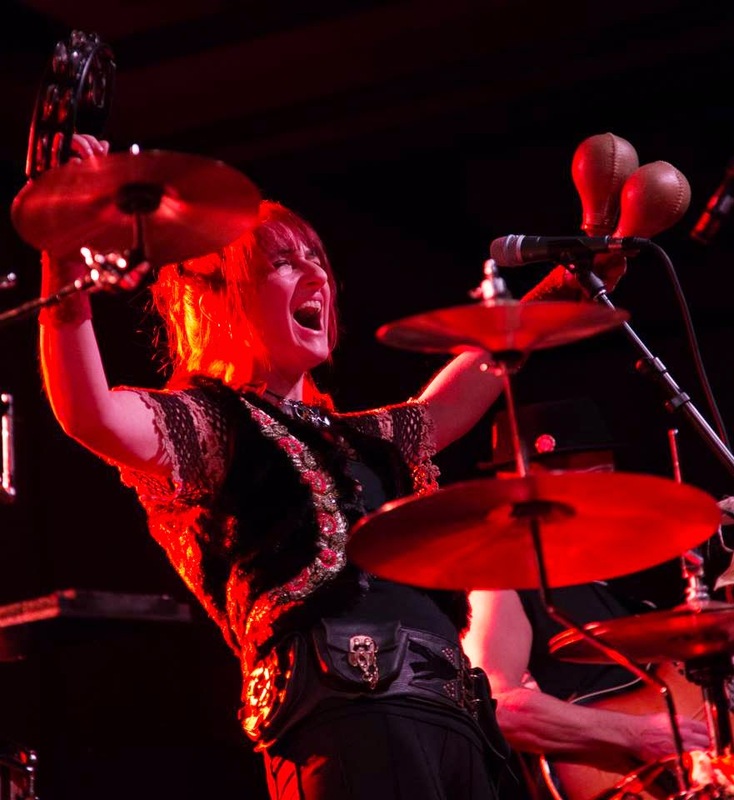 !” We had already been performing at Faerie Festivals, another very creative and spirited community, and Alternative Music Festivals and Conventions since 2006 and it seemed that Steampunk was somehow an extension of a similar world. I was immediately attracted to the creativity and European feel and aesthetic of the community as was Scott and he, coming from a Punk Rock background, immediately heard the ‘Punk’ part of the name! That was back in 2009 and since then we have performed at almost all of the major Steampunk events in the U.S. and Europe and have become one of the ‘go-to’ bands for the genre. Steampunk is a beautiful explosion of creativity. It attracts and fosters a maker’s mindset which I love and has a transformative feel to it. It has a very tactile aspect to it too and brings a sense of warmth to a world that can at times feel cold. It brings together a community of people who are at once creative, adventurous, fun-loving and action-oriented. Please share with us one of your creative processes. I write the lyrics to the Frenchy and the Punk songs and sometimes the melody. Writing lyrics can be a mysterious process. It feels like there is a well that I plunge into to access the words. Scott is constantly playing guitar and sometimes when he is playing a riff I hear lyrics attached. It’s like they already exist within the notes. The process is such a validation of the idea of a Muse. It feels like a gift when those words come. It is the same for Scott, he is incredibly connected and his ability to tap into that golden essence of music through guitar is amazing. Sometimes, after seeing a movie, art show or perhaps driving through some amazing scenery or meeting someone along the way who tells me something interesting, I will get an idea that pops into my head. A phrase can form out of nowhere that just keeps going. If I don’t write it down right away or sing it into my phone, it disappears! Again, it feels like a gift, floating in the air, waiting to be caught and communicated to the world. If the melody comes with the lyrics, then I sit down at my keyboard to figure out the chords. I studied piano for 7 years when I was a kid, and it really comes in handy. Nature, movies, art, music, people I meet, life experiences in general. 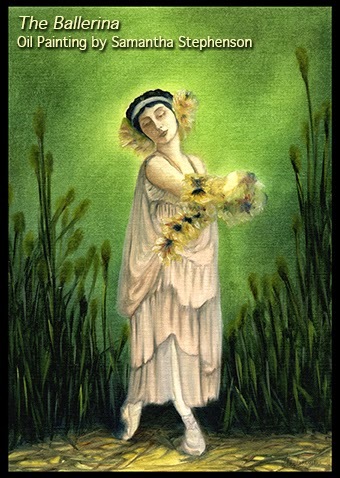 I have been inspired by artists such as Camille Claudel, Bill Viola, Edward Gorey and authors such as Isabel Allende, Paulo Coelho, Joseph Campbell, Dan Millman and singers like Johnette Napolitano, Siouxsie Sioux, Joanne Shenandoah and Chrissy Hynde and performers such as Blue Man Group and Corvus Corax. The song ‘House of Cards’ was inspired by the PBS Murder Mystery series and Agatha Christie’s Poirot and actually started from the idea of a ‘villan in the house of cards’ after listening to Ace of Spades from Motorhead. ‘Fe Fi Fo Fum’ was inspired by the fight against Monsanto and general apathy about protecting our natural resources. ‘La Vie de Boheme’ was inspired by my experience living in an artist warehouse in NYC for 5 years where my resolution of making the creative life my fulltime career was cemented. Our drumming instrumentals like ‘Rock Paper Scissors’, ‘Blacksmith’ and ‘The Chase’, that we have been performing since the beginning in 2005 were inspired by my time living in Brazil and my visits to West Africa. ‘Dark Carnivale’ was inspired by the community in which we perform and the feeling that every day is Halloween. ‘Why Should I’ comes from those times when I just feel like giving up but somehow find the kernel of strength within to carry on. ‘Silent Movie’ with the idea of “imagine life were a silent movie, there’d be music all the time!” is inspired by that Charlie Chapin time period and the idea of choosing your own soundtrack for your life. And, I could go on and on! Every song has its inspiration and life experience. Many of my lyrics are empowerment songs like 'She Was a Flapper; Ode to Lois Long' or ‘Batgirl’. 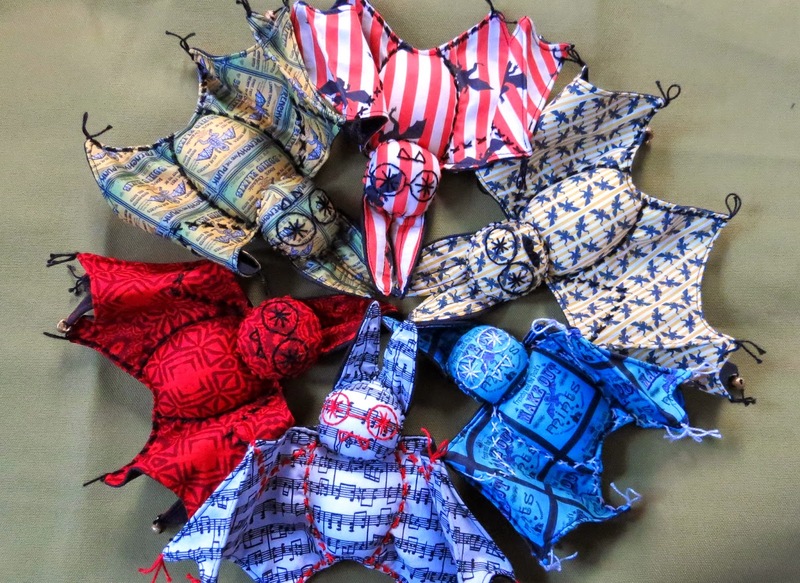 I am thought of as the bat girl because of all the fabric finger puppet bats I’ve been hand sewing and selling since 2002. Bats symbolize rebirth and transformation which is something that resonates on a deep level for me. In fact, our symbol for the band is a Batfrog as we have taken my favorite creature, the bat, and Scott’s favorite, the frog, (which, incidentally, also symbolizes rebirth and transformation) to create our Frenchy and the Punk symbol, the Batfrog. So, ‘Batgirl is a cheeky song about women banding together in support of each other to create a better, kinder and more sane world. Women’s empowerment is something I have been connected to and inspired by all of my life. When I was in high school I learned that Iceland had voted in a female president and that gave birth to my fascination for that country, the desire to visit it and opened the scope of what women could achieve. As I have struggled to empower myself along my journey, I find that my focus has somewhat shifted. I believe we are living in a pivotal time right now. Building on the struggles and victories of women from past generations, we are at a turning point, and I believe this is due to the recognition and honoring of the feminine aspect in general, which exists in both men and women. This time of change is not only women coming to an equal standing of respect alongside men but also women and men working hand in hand to make this a reality. The men who understand and participate in this cultural evolution are equally as important in the process as they can be the voice that is most likely to be heard in chambers that may be deaf to the voices of women. Women and men working together is much more effective. It transcends gender. It is all about balance. 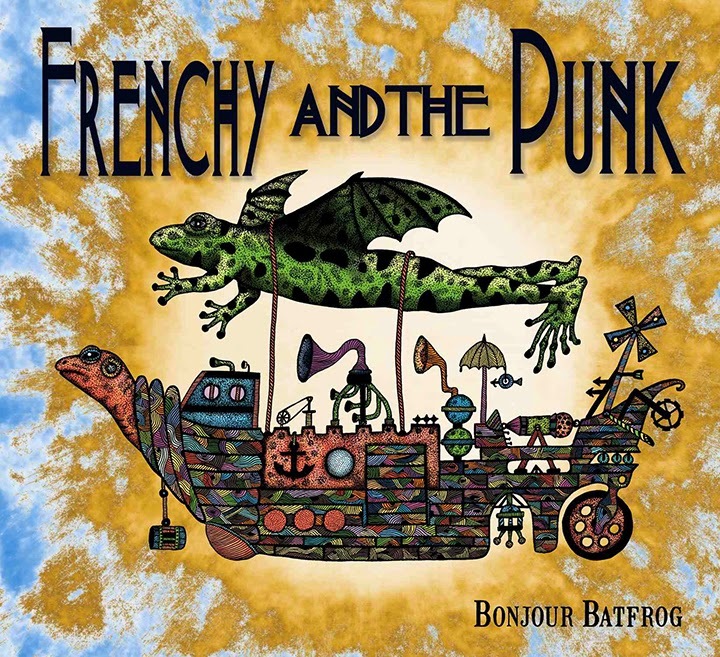 Frenchy and the Punk released a CD just before our European tour last August, ‘Bonjour Batfrog’. We released a music video for the song ‘Carried Away’ in February that was shot entirely in Paris mostly on the Champs Elysees. It was our 6th music video. I do all of the editing so I have my work cut out for me! We will be releasing more videos this year for songs off of that CD. We’re very DIY. I do all of the website design, the graphics for the CD packages and poster images. You can see a funny video on our youtube channel about ‘the FnP crew’. I will also be conducting a panel at conventions this year that brings together some of what I spoke of before. The panel is called ‘Steampunk As Metaphor – Reinventing and Transforming Your Life’. I will be offering it at the International Steampunk Symposium in April in Cincinnati as well as the Steampunk World’s Fair in May in New Jersey and at Clockwork Alchemy in San Jose at the end of May. Those interested in participating can look on the website for our schedule of events on the Tour Dates page. Apart from that, when we are not touring we are always working on more music and art in our studios in New York. I think that people are attracted to Steampunk for different reasons and it’s good to know what that reason is. Are you attracted to the aesthetic and just looking for a place to be that is creative and fun to get away from the usual every day? Are you an aspiring writer? Do you like the creativity of making outfits? How is the community an extension of who you are or even who you want to be? It’s a great place to explore, to be adventurous. It’s not so much what advice I would have for young steampunks but rather that steampunk brings out the kid in all of us, whether you are 18 yrs or 35 yrs or 60 yrs old or whatever, it is a creative environment that nurtures that child-like curiosity and desire to bring that creative energy into your life, it’s a spark. We were all born with certain likes and gifts and to not honor those is a crime! They are meant to be a part of our lives and we must explore them because when we give ourselves the chance to be happy, it impacts and empowers not only ourselves but those around us. For more of that discussion… come to my panel! Our schedule is filling up nicely for the year and there are lots of exciting events coming up. For the Spring, we'll be at the International Steampunk Symposium in Cincinnati April 24th-26th, Spoutwood Faerie Festival in Glen Rock PA May 1st-3rd, Watch City Steampunk in Waltham MA May 9th, Steampunk World’s Fair in New Jersey May 15th-17th Clockwork Alchemy in San Jose CA May 22nd-25th, Steampunk Weekend with Jeff Mach and Friends June 6th-8th in Blackthorne NY, Maryland Faerie Festival in Darlington MD June 12th-14th, Webster Hall with percussionist, of ‘Dead Can Dance’ fame, Peter Ulrich in NYC June 20th, and lots more throughout the Summer and Fall including DragonCon in Atlanta GA. Details are all on our website www.frenchyandthepunk.com. And here is Frenchy & The Punk's most recent music video release!